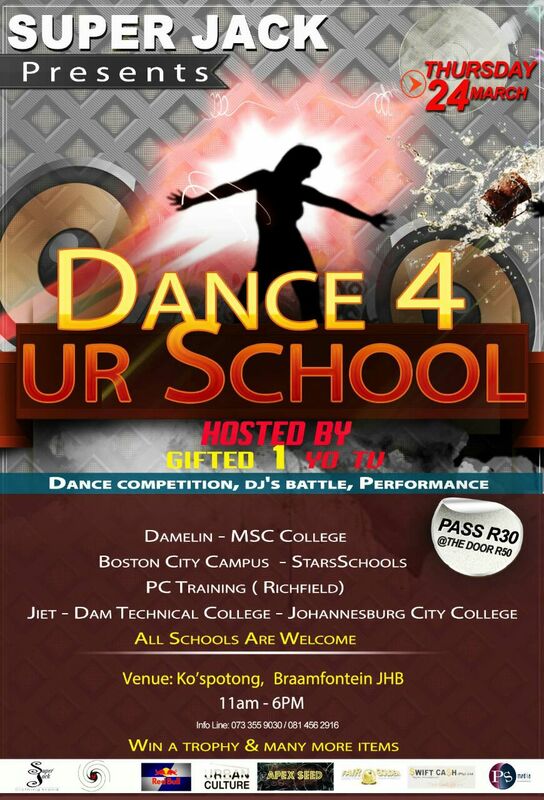 Braamfontein Alive: “The Dance for your School and College Competition.”: People in my community. “The Dance for your School and College Competition.”: People in my community. There will be a road show on Wednesday in Braamfontein that will be promoting the event as well as selling tickets. Dancers and DJ Mlufire will be part of the road show.